Bluetooth speakers have become a very important gadget for all music lovers because with the help of Bluetooth speakers, they can play loud music of their choice. Today, people can store hundreds of songs in their mobiles or they can play live music through free music apps. However, the speakers of a mobile phone have limited output and we can't listen good music through them without the headphones. Here come Bluetooth speakers which allow us to play music from our mobile phone or any other bluetooth device through these speakers. You just need to pair your mobile and speaker for one time only and from second time, you can play music with the single play button. I bought these Philips Bluetooth speakers because my wife is very fond of playing music and she loves to listen music while working in the Kitchen. So, I searched for good Bluetooth speakers and put my trust on the Philips because of its good brand value. Thankfully, these speakers worked very fine and their sound quality is very good. It comes with a rechargable battery which gives you a good music listening time. As compared to the small size, these speakers give a loud sound and it is very easy to carry Philips Bluetooth speakers anywhere. For the last seven months, these Speakers are working very fine. 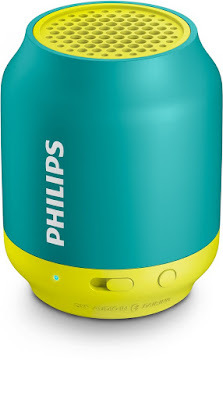 My Rating for Philips Bluetooth speakers is 9 out 10. These speakers provide a value for money without compromising on the quality.